Made with a superb blend of herbs and nutrients, Blood Sugar Pack is formulated to help the body maintain healthy blood sugar levels. The key herbs include Cinnamon, Gymnema Sylvestre, Banaba, Bitter Melon, and Guggle. Also added are effective amounts of Chromium Picolinate, Vitamin C and Vitamin E. The recommended dose is one capsule three times daily with meals. 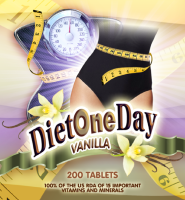 As a dietary supplement, take one (1) capsule daily with food. Do not exceed the recommended dose. This product is not intended for pregnant or nursing mothers, children under the age of 18 or Individuals with a known medical condition including cardiovascular disorders or hypotension (low blood pressure). If you are currently taking any prescription medication including that for high blood pressure and have questions about the advisability of taking this product ,consult a physician prior to use. Enteric Coated EPA / DHA:: Want to boost your health with EPA / DHA with no fishy taste. Try enteric coated EPA / DHA. Made with a Pharmaceutical Enteric Coating Process which allows the capsules to pass undissolved through the stomach into the intestinal tract where they breakdown. This eliminates the fishy aftertaste that is sometimes an issue with uncoated capsules. Fish oil is rich in two Omega-3 Fatty Acids, EPA (eicosapentaenoic acid) and DHA (docosahexaenoic acid) which are recognized for their benefits in supporting cardiovascular health, lowering LDL (bad cholesterol) and triglyceride levels, increasing HDL (good cholesterol), supporting normal blood pressure levels, improving circulation and brain function, bolstering the immune system and reducing inflammation. Each soft gelatin capsule provides 420 milligrams of EPA and 280 milligrams of DHA�more than double that of most fish oil products on the market! And, Enteric Coated Mega EPA / DHA uses only the finest fish oil available made from coldwater fish harvested from the Nordic Sea. The oil is then processed using one of the best purification methods available, Molecular Distillation, which is the only current method that can remove heavy metals, PCB�s and other toxins to below detectable limits for human consumption. Compared to most other processing methods that heat the oil to temperatures of up to 250 degrees Celsius for 6 hours, Molecular Distillation takes only 45 seconds at the same temperature helping to preserve the quality of the fish oil and guarantees that no Trans Fats are created. As a dietary supplement take one (1) soft gelatin capsule twice daily. CAUTION: Do not exceed recommended dose. Pregnant or nursing mothers, children under 18, and individuals with a known medical condition should consult a physician before using this or any dietary supplement. KEEP OUT OF REACH OF CHILDREN. DO NOT USE IF SAFETY SEAL IS DAMAGED OR MISSING STORE IN A COOL, DRY PLACE. Other ingredients: Gelatin, vegetable glycerin, food glaze, ethylcellulose, purified water, enteric coating (sodium alginate and stearic acid), magnesium sllicate and vanillin.